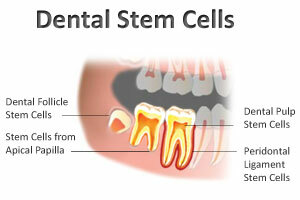 Though located in a number of places in the body, mesenchymal stem cells can be found in especially high concentrations in the healthy dental pulp of teeth. Mesenchymal stem cells are one of the most well-understood, widely researched and promising types of stem cell. Mesenchymal stem cells form tissues such as bone, nerve, muscle, and blood vessels.